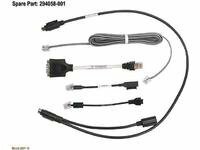 HP Inc. CABLE KIT,MISC, 294058-001 by HP Inc. at CTOSoft. MPN: 294058-001. Hurry! Limited time offer. Offer valid only while supplies last.